In-demand feature, or Google+ inspiration? Either way, the new update to Facebook photos should make waiting around while uploading your awesome vacation pictures both faster and easier. Or that’s what Facebook says. When uploading photos to Facebook, users will now be able to track the progress of their photo uploads all the way up to completion via the new and real-time upload progress bar. The feature is strikingly similar to Google+‘s photo tracking, though I’m not one to knock Facebook for possibly bowing to a great idea. As both networks continue to grow, some features are bound to overlap. If you’re not seeing the new upload bar, no worries. The update will continue to roll out and should encompass all users within the next few weeks. The above comes in addition to changes made in August where pictures uploaded to the platform were both enlarged and enabled for faster loading speeds — including photos already uploaded prior to the update. 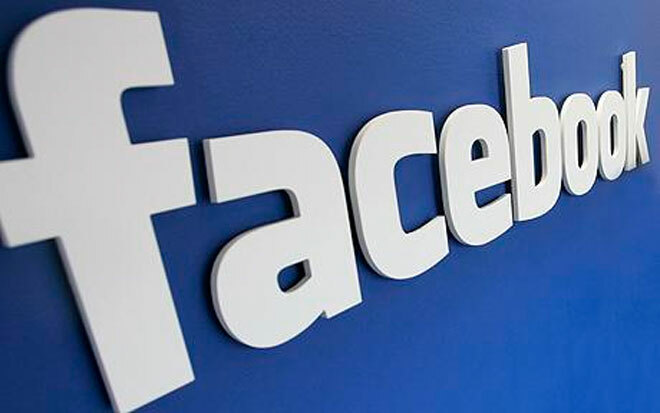 Users have also been allowed to add captions, location details, album titles and descriptions all before the photo uploading process completes, allowing Facebook’s more multitask-happy community to get more done while hanging around during longer album uploads. While this new update isn’t a huge one, it’s still nice to see Facebook continuing to iterate on its product to get things “just right”. Keep it up. Want more? 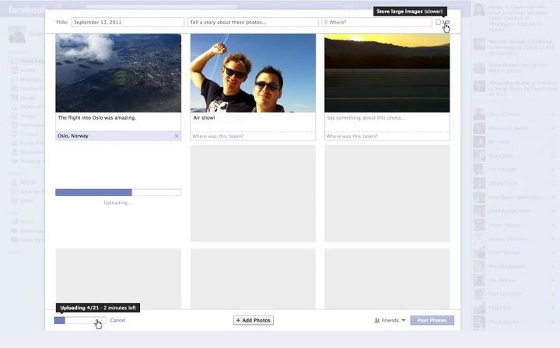 Be sure to check out our previous post: In preparation for Timeline, Facebook now lets you change the date on photos.